Treats Pigmentation, Skin Irregularities, And The Signs Of Aging. Experience A New You, With No Downtime. PicoWay Resolve is used to treat minor imperfections and help restore your skin to its youthfulness. Resolve is a new fractional treatment capability on the advanced PicoWay laser device for benign pigmented lesions such as freckles, age spots, lentigines, Nevus of Ota, Café-au-lait and more. PicoWay’s ultra-short pulses also optimize the delivery of energy to the targeted pigmented particles, ensuring that the pigmentation is effectively treated, while the least amount of heat gets transferred into the skin. With it’s ultra-fast delivery of concentrated high-power energy, PicoWay will shatter even tiny pigmented particles, making it easier for the body to clear the pigmentation. Fractional treatments mean that only a fraction of the skin is affected, leaving healthy skin around the treated area to promote quick healing. PicoWay offers better results in few treatments for various skin types. PicoWay is simple to fit into your life. After a treatment, you can get right back to your busy day. Since each treatment typically lasts for less than 20 minutes, you can easily schedule an appointment during your lunch break. Picoway® is an advanced laser solution for benign pigmentation such as freckles, age spots, lentigines, Nevus of Ota, Café-au-Lait and more. This breakthrough technology uses ultra-short picosecond (trillionths of a second) pulses to break down the pigment into the smallest particles. How Does The PicoWay Work? Does The PicoWay Treatment Hurt? The degree of discomfort varies with each person depending on the nature and location of the pigmented lesions on the body. What Should You Expect And What Precautions Should Be Taken Throughout This Process? During your first visit, your skin’s reaction to the laser will be tested to determine the most effective treatment. Immediately following treatment, cold or cool compresses may be applied to soothe the treated area. A topical antibiotic ointment may be recommended. In the first few days, take care to avoid scrubbing the area or using abrasive skin cleansers. Over a few days the lesions will darken and sluff off. How Many PicoWay Treatments Will I Require? 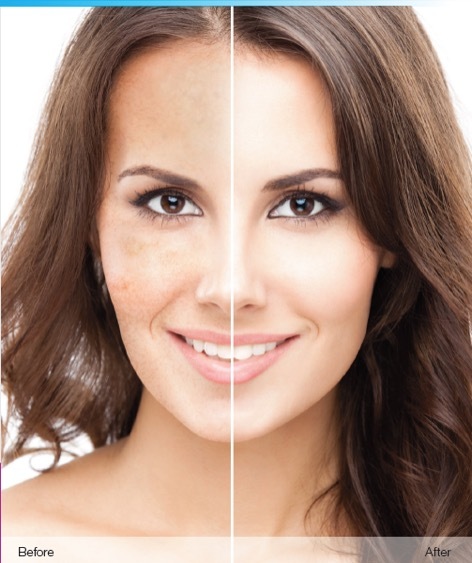 PicoWay treatments selectively treat the melanin pigmentation while leaving surrounding skin undamaged. After treatments, patients will experience temporary discoloration or reddening of the skin around the treatment site. Some patients may also experience a temporary lightening or darkening of the skin. The skin will typically resolve to normal pigmentation color. Can The PicoWay Also Treat Tattoos And Other Discolorations? Yes, PicoWay can also treat multi-colored tattoos.